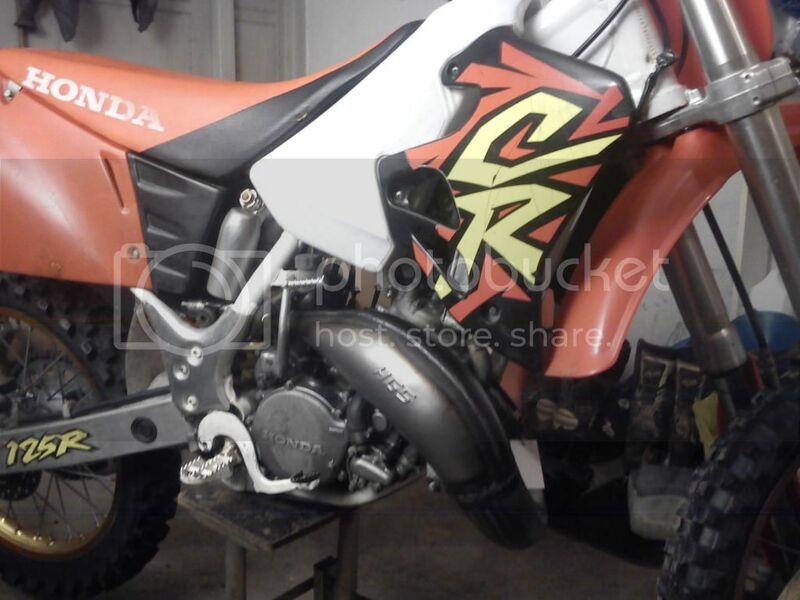 I have dreamt of rebuilding a 93-97 CR125 for quite some time now and a few weeks ago HenkeTIC on ATM was kind enough to sell me his 96. So far I have taken it apart, cleaned it, greased all bearings and put a new front tire just to be able to do some test rides to find out what needs to be done to it. 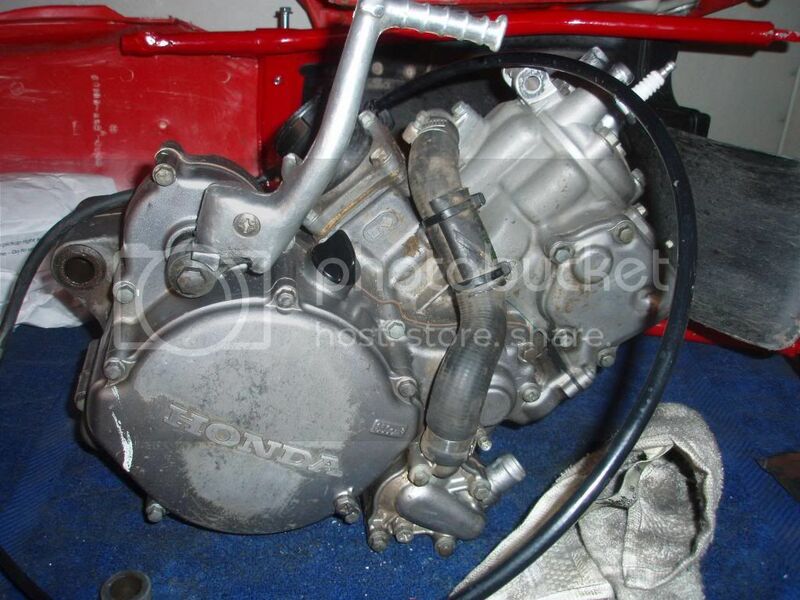 The plan is to do an engine rebuild (bearings, seals and clutch), powder coat the frame, get a new seat and some plastics, new rear rim, exhaust and some other bits and pieces. I will keep the stock look, like my 250 has. 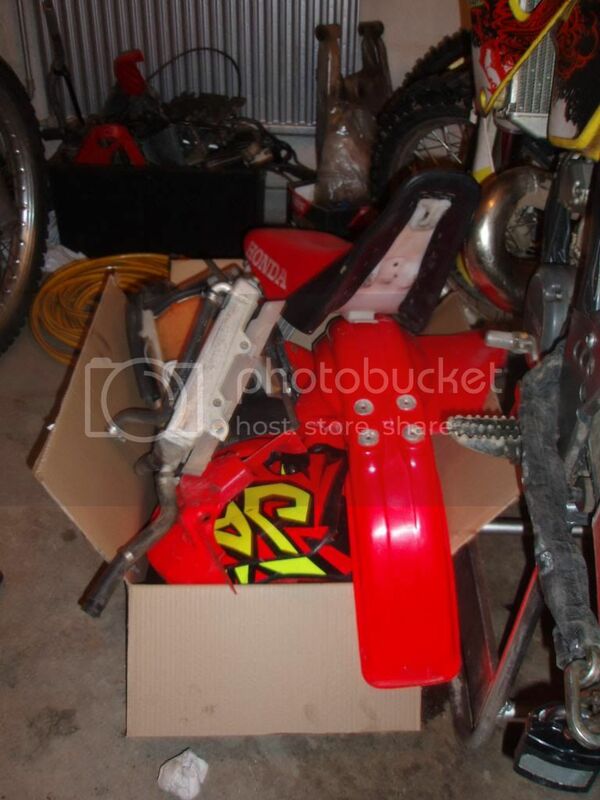 It is overall very clean, the stock plastics with decals are in very good shape. 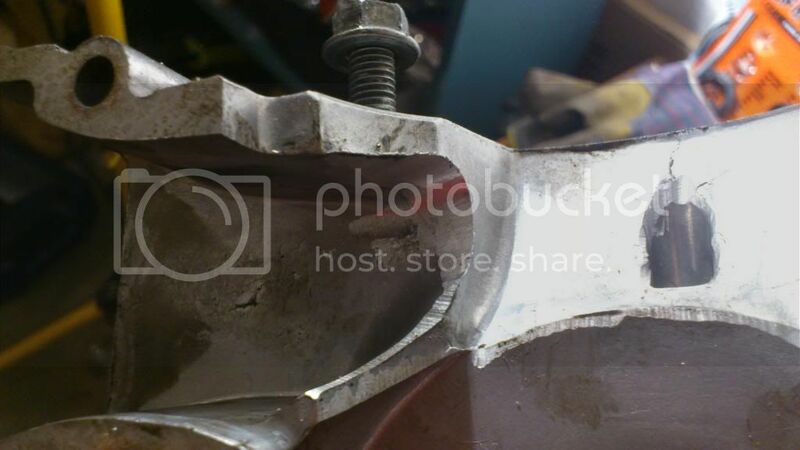 All bearings were ok, except the swingarm. The exhaust is welded and have some leaks, the rims are excels but the rear one has a crack. 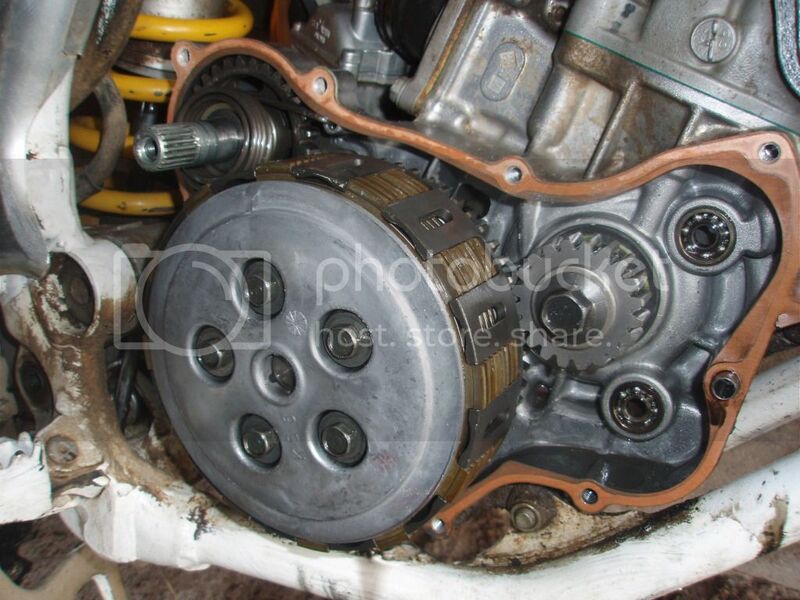 The clutch basket were a bit worn and the crank seals seems to leak. So now I'm in the enjoyable process of hunting parts. 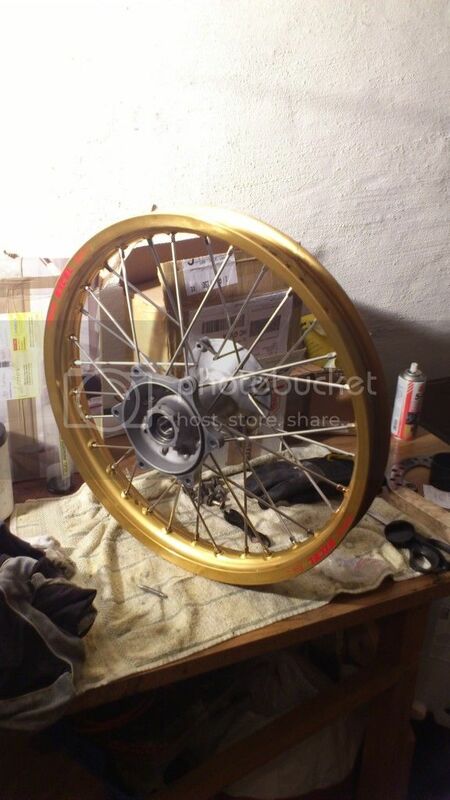 I have picked up a used hinson basket and a new gold rear rim on ebay. 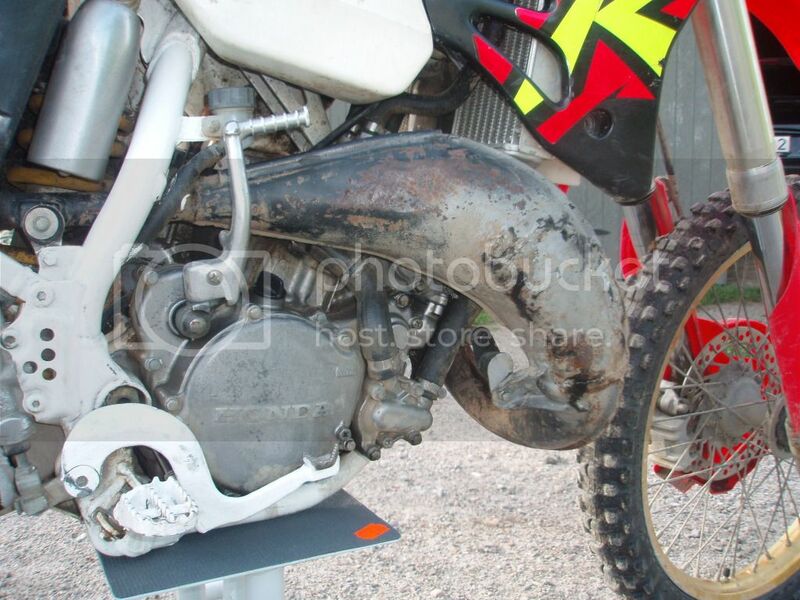 I'm still looking for an exhaust so please give me tips of where to find one. I would prefer a new one in factory finish. You can order new DEP or HGS but I would prefer a cheaper alternative. I appreciate comments and ideas! Last edited by Banana_oil; 08-15-2012 at 11:11 AM. I´m happy to see that she´s in good hands. 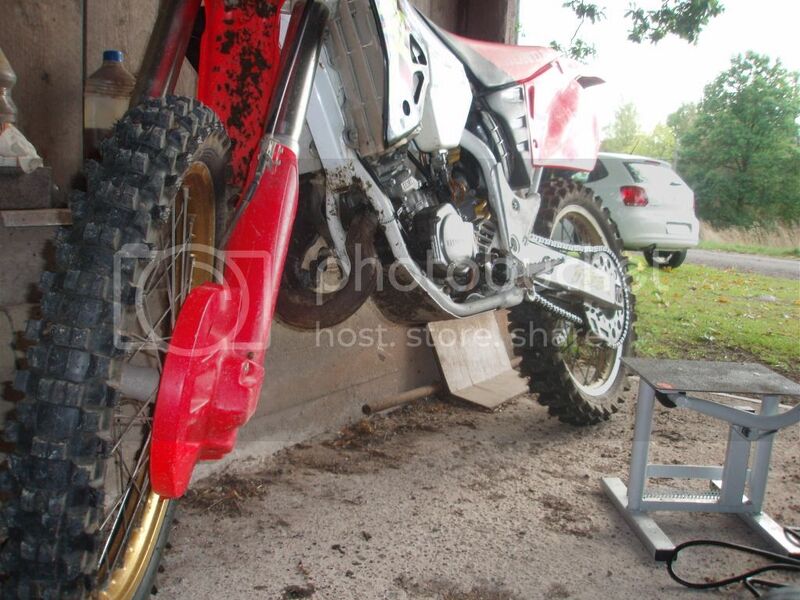 By the way i swapped the cr250 -93 for a crf450 -07... hmmm. Must be Picasso that welded the pipe. Tank cleaning. The car polish made a descent job, clean but not bright white. Will have plain white graphics on as seen in next pic so I didn't aim for making it as new. I like the white graphics idea......where did you find something like that? Shouldn't the graphics have holes in them for the gas tank to prevent bubbles? They are actually perforated, but it is just barely visable in the photo. 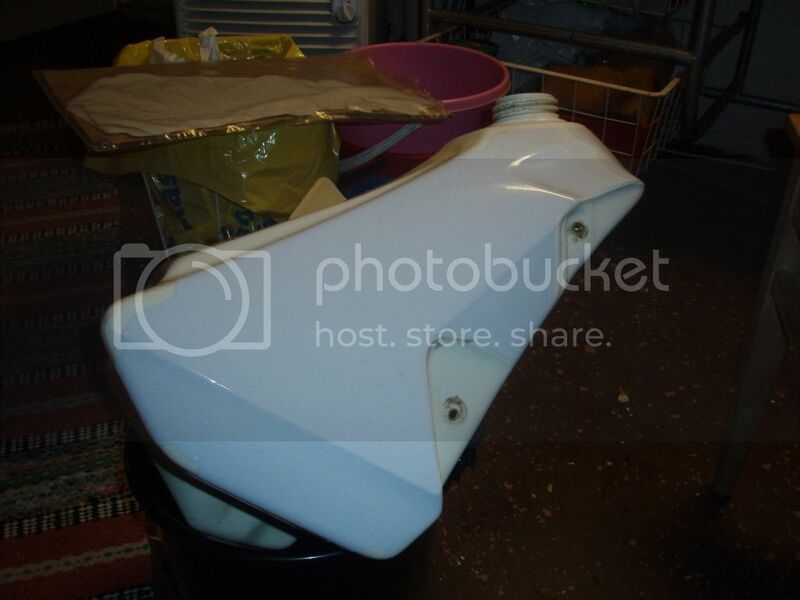 I got them from Home Page - Evo-Mx, I also had them to make a custom rear fender decal for me. They have reasonable prices and are very easy to deal with. Did you ask for it to come plain white? 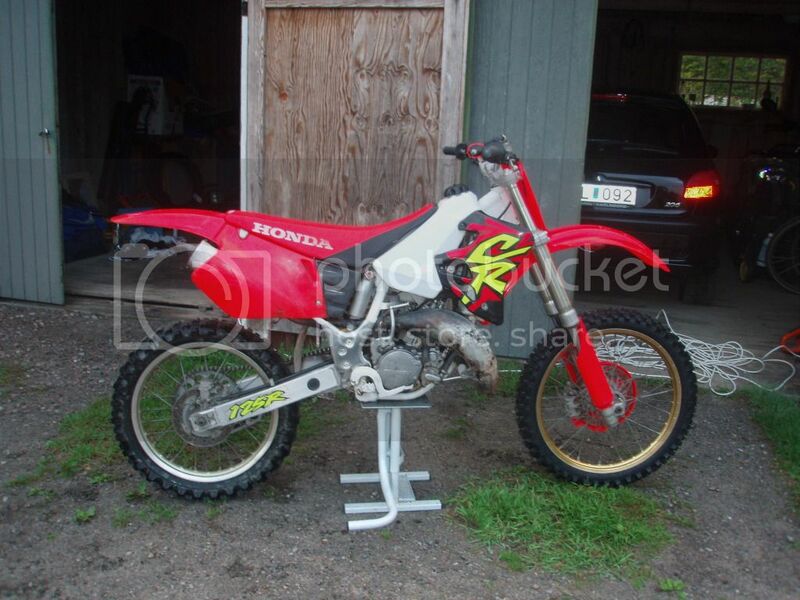 The only one I can find has Honda in red on the tank decal. Or am I just looking in the wrong place? I don't have the Honda logo, they have added that after I got mine. Time for a short update. I have the bike at my parents place so I make some small work every time I visit them. This weekend I changed the crank seals and mounted the hinson basket, a works connection skid plate, a 2005 alu ignition cover and some levers and cables. I also did some riding and it runs really good on top but is weak in low end. The jetting is very rich which is one reason. 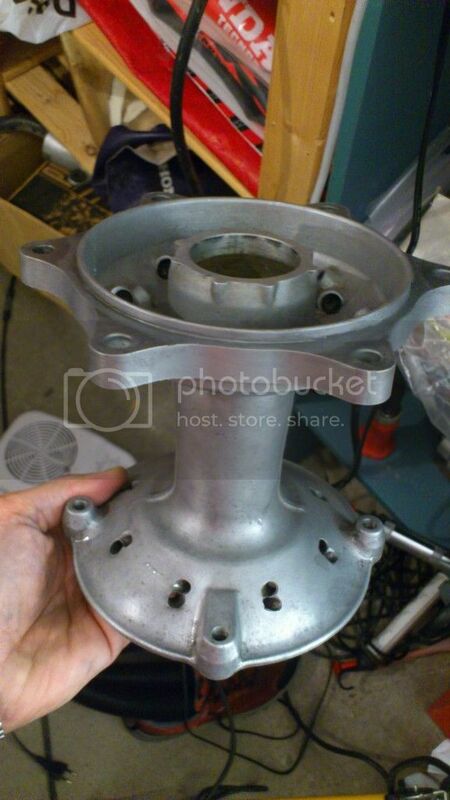 I have got the 99 power valve assembly but haven't mounted it yet, according to E Gorr it should give a low end boost. I brought the rear wheel with me and will spend the coming weeks with lacing it up with a new rim. I have now laced up the rear wheel with a new gold excel and stainless spokes. It went smoother than expected. I haven't tightened it up yet, waiting for help from a friend with a jig and some experience. Had plans on glass blasting the hub but tried scotch brite and it did a good enough job. I finally have got the bike in my own garage and today I also picked up a new HGS pipe. A test mount had to be done before the teardown of the bike. 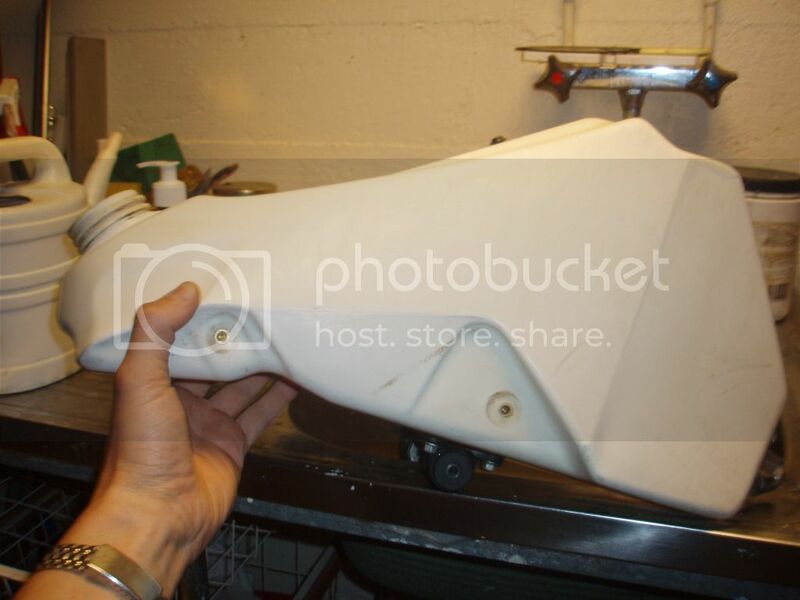 I also have an old HGS silencer from a YZ that I will modify to fit the CR. 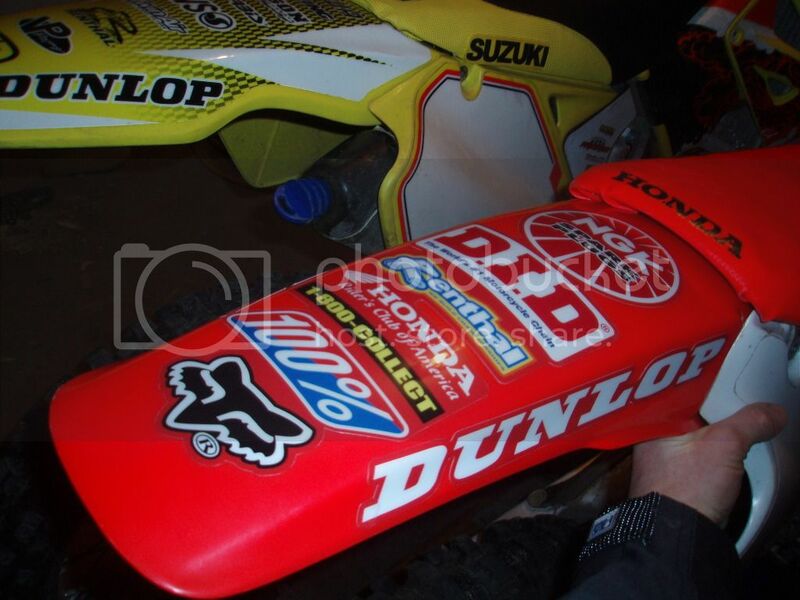 I got them from Home Page - Evo-Mx, I also had them to make a custom rear fender decal for me. They have reasonable prices and are very easy to deal with. Those retro graphics are killer! 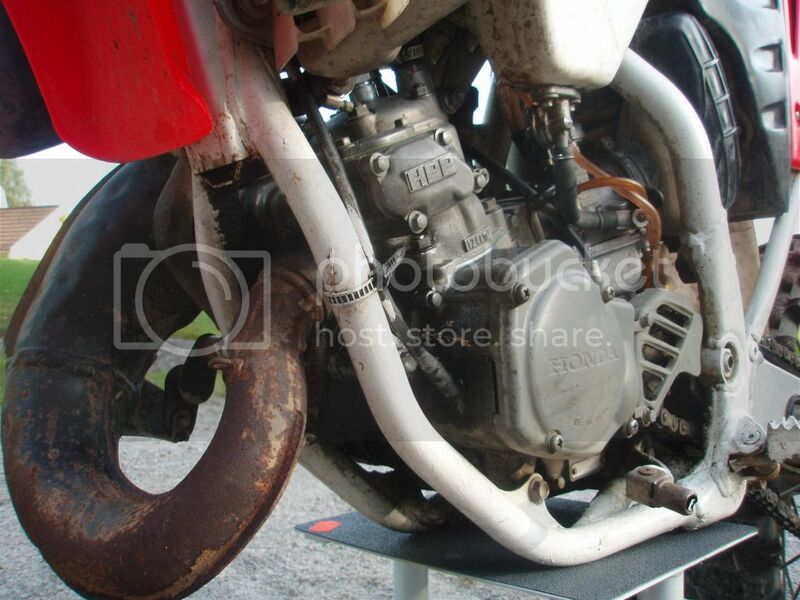 I think I might get a set for my CR500 restoration. Eric Gorrs book is awesome, I found it some months ago and have got a 99 exhaust valve according to his recommendation. Thanks anyway for sharing Pontiac! 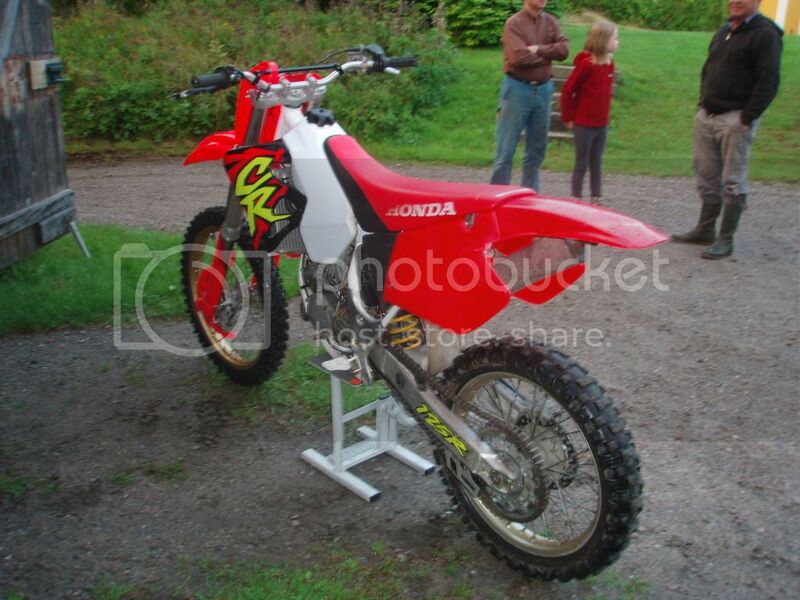 JMV, I'm sure EVO-mx have graphics that will make you great looking 500's looking even better. 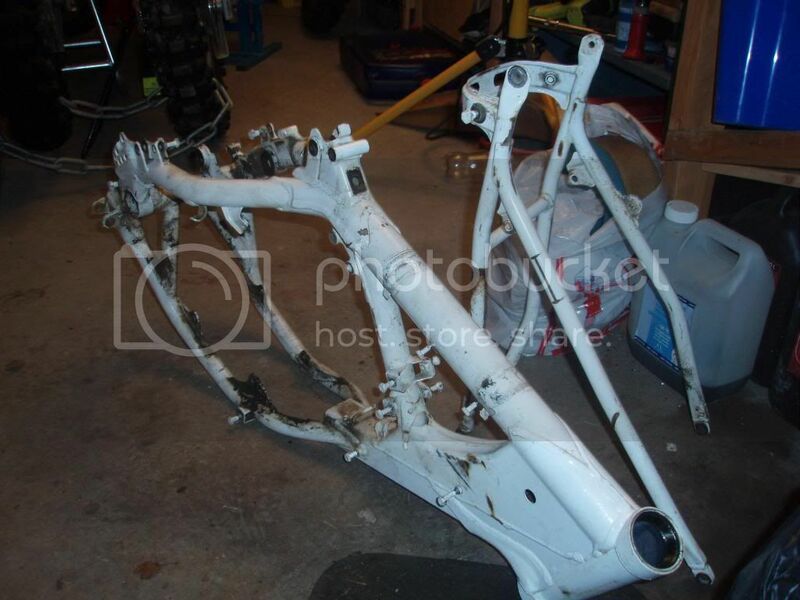 Regarding my bike, I stripped the frame yesterday and will send it for powder coat next week. Hopefully it will be back before Christmas. Box of parts. 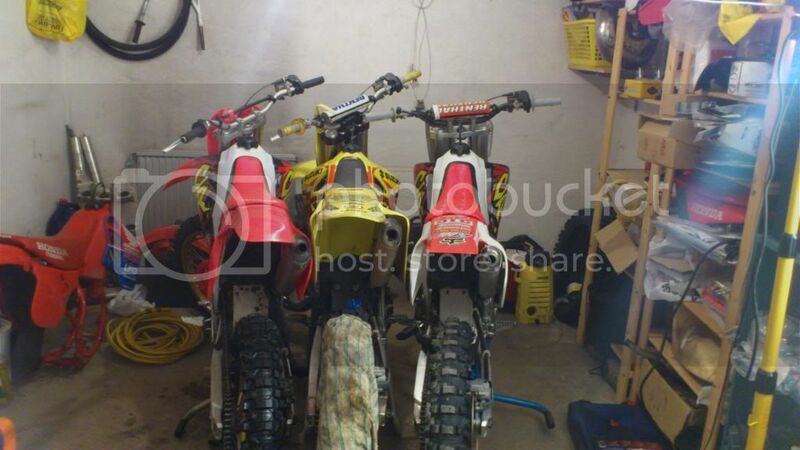 My garage is a mess, it is a bit to small for restoring two bikes at a time.. I split the cases this week and found that there is a modification made to the intake. Can't judge if it's well done, maybe someone here knows? The cases are painted and I want to strip the paint but would like to avoid blasting as it makes the surface raw. 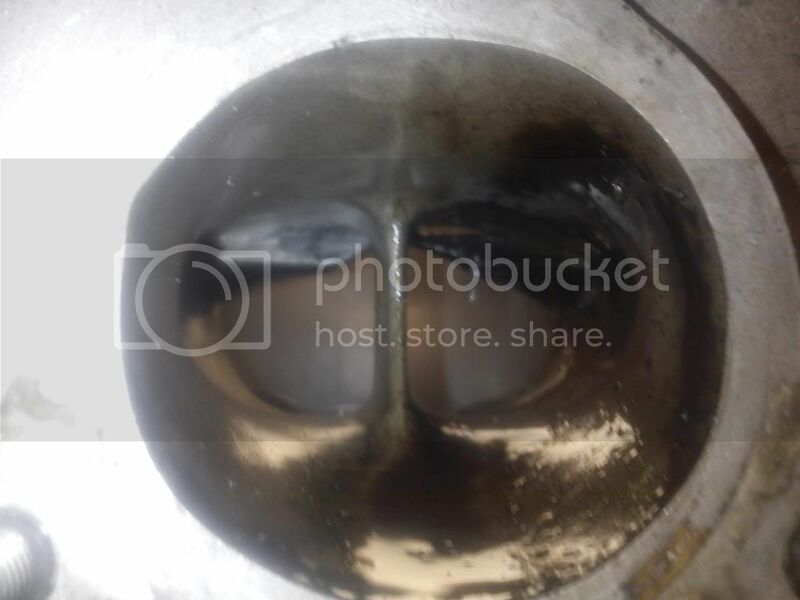 I want to have the cast surface clean, does anyone have a recommendation on what method to use? The cylinder is quite worn so I bought a used one which is in very good shape and also appears to have some modifications to the transfer port inlet and the base area. I have seen the transfer port mod on a VHS tuned 91 cylinder before but I have never seen the base channels before. 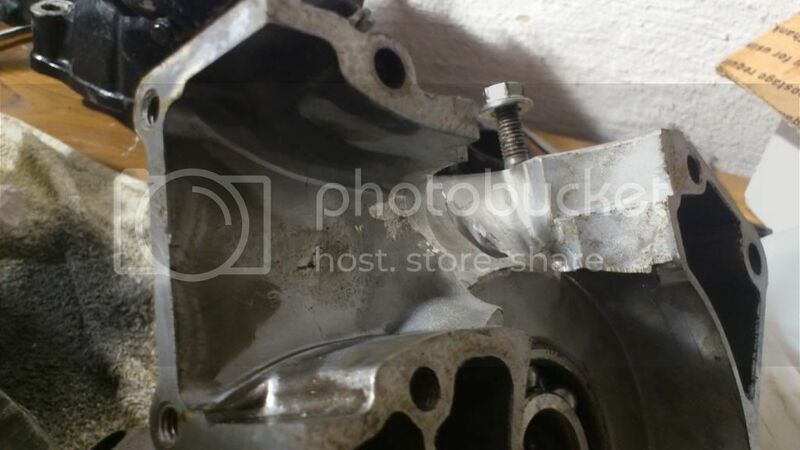 I assume that a similar mod in the cases and gasket is necessary to make it complete so I have asked the seller of the cylinder to send me photos of his cases. Maybe I buy them aswell. 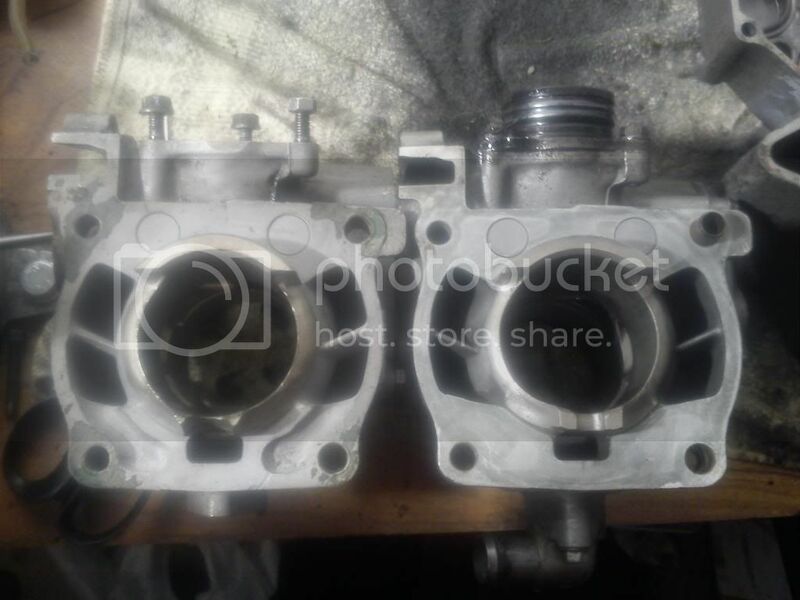 The new cylinder is to the left. 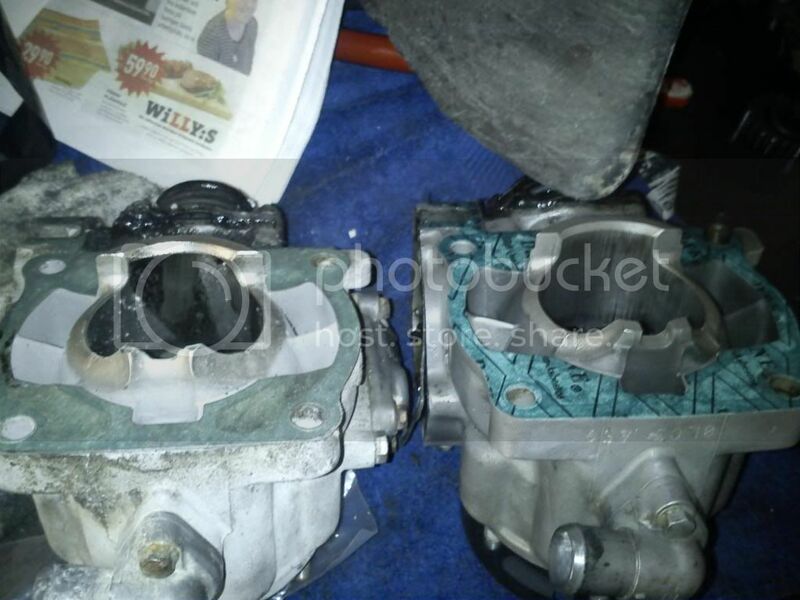 I also mounted the 99 exhaust valve on the left side to compare with the other one which don't seal to the upper wall. Now, this port may be modified cause I didn't see this gap on the old cyl. Anyway, the 99 ones are also thicker and have a groove in them which prevent flow in the upper gap to the housing. Sorry for the bad quality phone pics.